What’s Growing in South Florida? Thanks to its warm, tropical climate, Southern Florida produces a plethora of delicious fruits, vegetables and herbs. That means juicy, sweet citrus, yummy tropical fruits and dozens of varieties of fresh and seasonal, right-off-the-farm veggies. You can enjoy seasonal produce bursting with bright flavor at its peak, fresh from the farm. In Southern Florida, Arden, a new master-planned community from Freehold Communities, is incorporating the freshest locally grown fruits and vegetables into a farm-to-table experience for its residents. A central feature of Arden is a working farm. 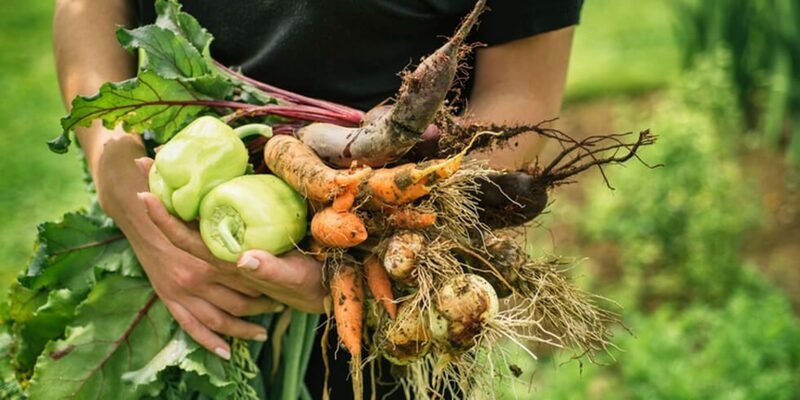 Residents will be able to take seasonal classes with the farm manager, focusing on healthy eating, the farm-to-fork cuisine and lifestyle, cultivating herbs and flower arranging, among others. Why is this good news? According to the Florida Department of Agriculture and Consumer Services, “fresh is best.” Eating seasonal produce at its peak means products are fresher and tastier, plus nutritional value is optimized. Additionally, eating seasonally encourages a diverse diet, is often more economical and harmonizes with nature’s production cycle, reports the FDACS website. To learn more about Arden and its community garden, join our Founders Club and be the first to receive updates and invites to upcoming events.